High Schools International is a founding member of the AGPI, the Association of Guardianship Providers in Ireland, and member of AEGIS, the Association for the Education and Guardianship of International Students, in the United Kingdom. 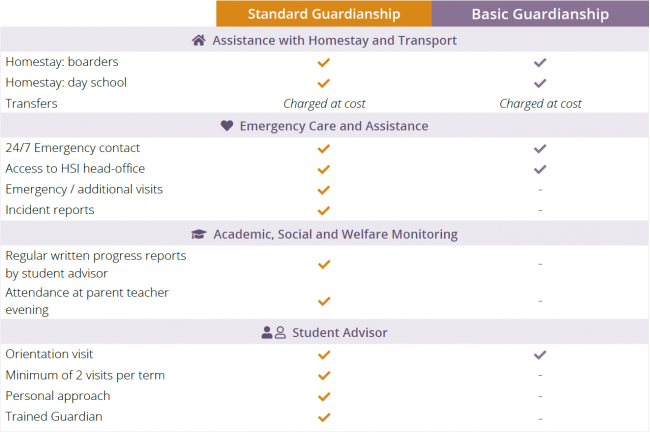 As experienced guardians, we understand that not all students are the same, so we offer two levels of guardianship: Basic and Standard. If you have decided which guardianship service you require you can apply today. Click the link below to find our online application form. Our standard guardianship service provides the highest level of supervision and progress monitoring available. This thorough service gives students the support they need to reach their full potential whilst away from home. Ideal for long term students, those on graduation programmes, or those needing to validate their studies. Basic guardianship is suitable for students who require a more limited level of care than we offer in our standard guardianship. enrolled in a boarding school.